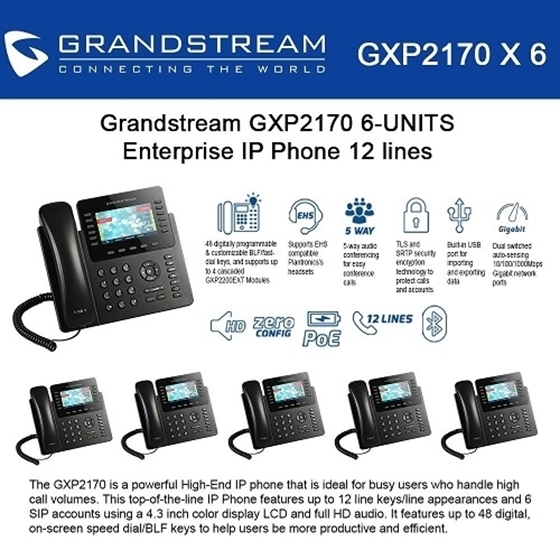 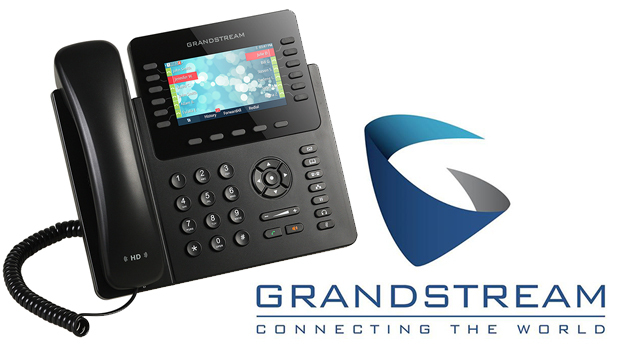 he GXP2170 is a powerful High-End IP phone that is ideal for busy users who handle high call volumes. 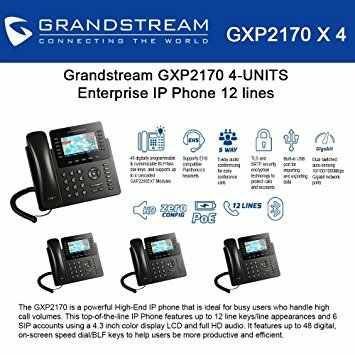 Receptionists, administrators, sales staff and other call-intensive rolls can enjoy efficiency by utilizing the GXP2170’s 12 line keys, 4.3 inch color display LCD and 48 digital, on-screen speed dial/BLF keys. 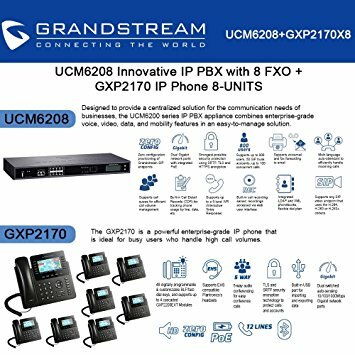 Provide users with the fastest possible connection speeds thanks to the device’s dual Gigabit, PoE network ports. 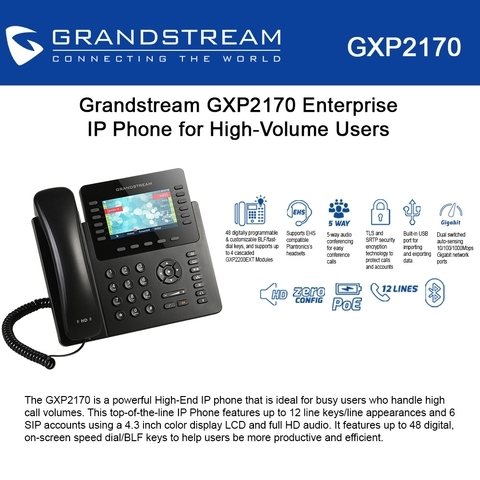 Maximized call control, expandable speed dial/BLF capabilities and a sleek design makes this phone the ultimate high-volume experience.